Therapist: So. Do you want to talk about your Christmas issues? Jane: I don’t have Christmas issues. Therapist: Splitting hairs. Christmas issues. You. Severe. Shall we talk about them? 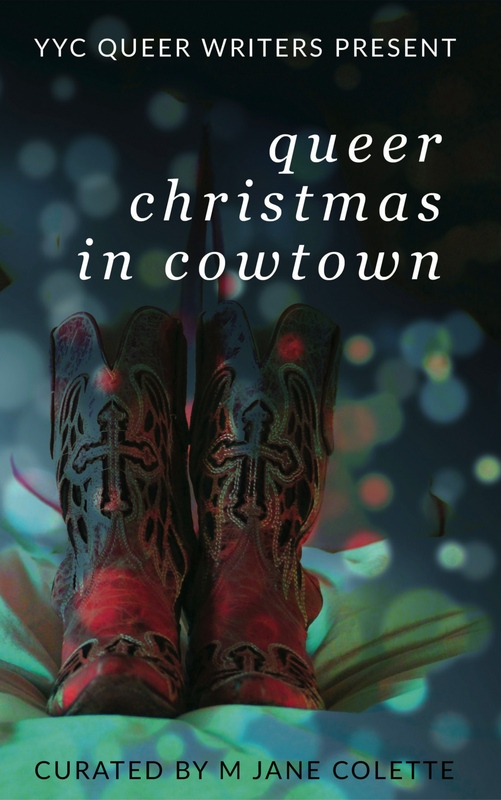 available in select Calgary bookstores–call first for availability–it keeps on selling out! INTERESTED IN THE INSIDE STORY? 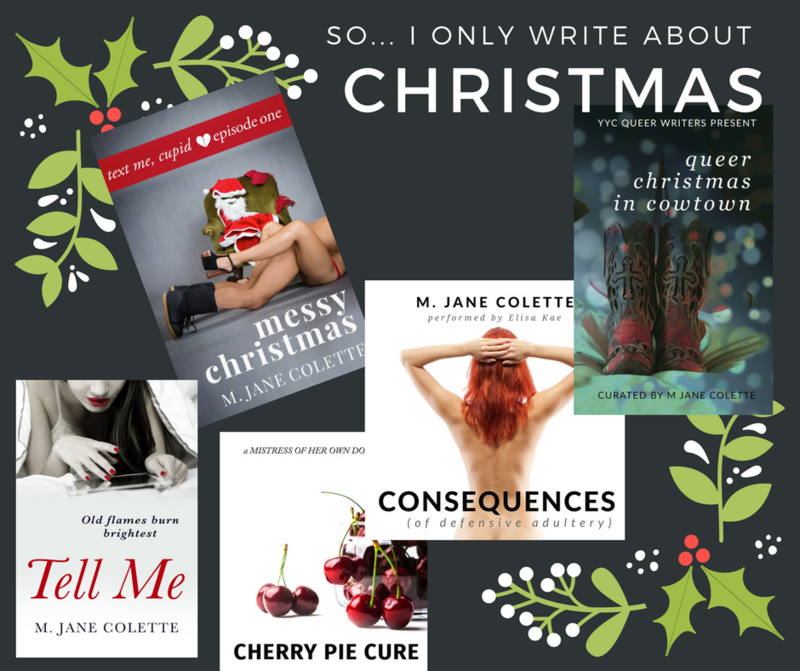 Check out Rough Draft Confessions: NOT a guide to WRITING & selling EROTICA but full of insight insight anyway, M. Jane Colette’s non-fiction collection of essays and “confessions” from inside the writing and publishing process.